House plants add greenery and color to your home all year long. There are house plants for all types of growing conditions, including plants that do not require much sunlight. If you are looking to bring the beauty of the outdoors into your home, but don't have any areas in your home that provide bright sunlight, choose foliage plants and flowering plants that can thrive in low-light conditions. Peace lily, or spathiphyllum, is native to the tropical rain forests of Central and South America and southeastern Asia. It grows on the forest floor, which explains why it can thrive with minimal sunlight. Peace lilies have dark green, glossy, oval leaves and striking, white oval flowers. They will fit in with any style decor in your home, and brighten up any corner of a room. Not only do they require low light, but they also don't require a lot of water. Watering once a week is usually sufficient. The soil should be kept moist but well-drained (reference 3). An added benefit to having peace lilies in your home is that they actually clean the indoor air. 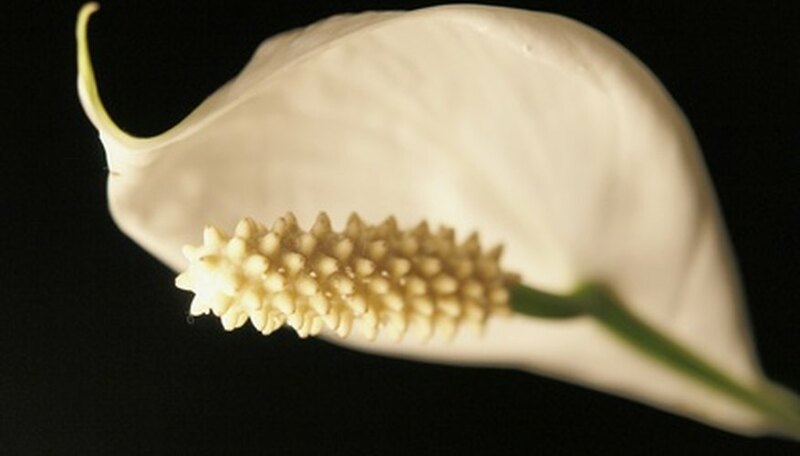 A NASA study conducted in 1989 rated peace lilies among the top 10 air-cleaning plants for interiors. Native to South America, the heart-leaf philodendron (philodendron scandens oxycardium) is an easy-to-grow house plant that requires minimal light. It is characterized by its dark green, glossy, heart-shaped leaves than can be 2 to 6 inches in diameter, and grow off of vines. The vines can become very long, and the plant should be pruned regularly to keep its full appearance. The vines can also be left to trail from its pot or hanging basket, or trained to grow around a support. Soil should be kept moist but well-drained. The heart-leaf philodendron is also very easy to propagate. Simply place a cut stem into water for a few weeks, and roots will develop. Then plant the stem with roots and you will have a new plant. This house plant is toxic if eaten, so deep out of reach of children and pets. A native of southeast Asia, Chinese evergreen, or Aglaonema, is one of the easiest indoor plants to care for. It is an adaptable plant and can thrive in very low-light conditions. Its large, pointed, dark green leaves are 6 to 10 inches long, 3 inches wide, and heavily marbled with white, cream or silver. Chinese evergreen make an ideal accent plant, providing a welcome display of color in low-light areas of your home. Every year new hybrids are developed that add to the variations of leaf coloring and pattern. Plant in moist, well-drained soil, and protect your Chinese evergreen from cold and drafts. Chinese evergreen are among the top 10 plants that clean indoor air of pollutants such as formaldehyde, benzene and carbon dioxide, according to a 1989 NASA study. Many people in Asia believe that owning a Chinese evergreen plant will even bring you good luck.